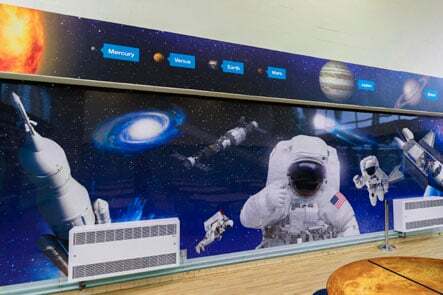 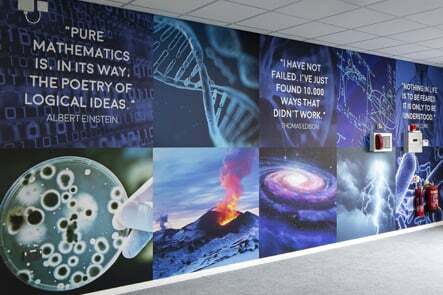 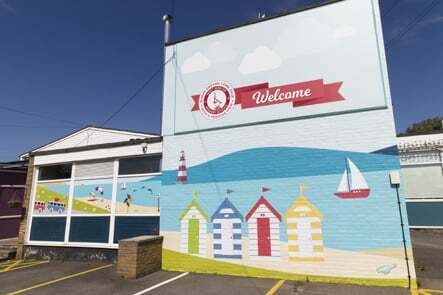 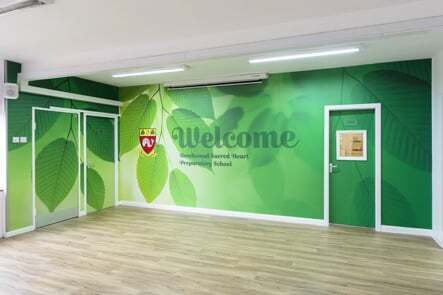 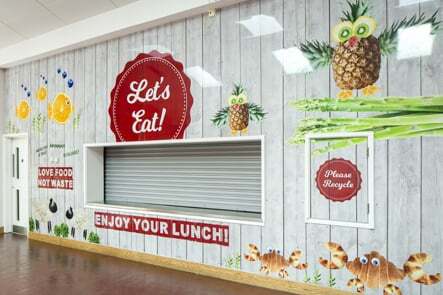 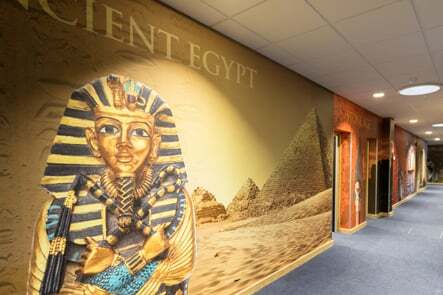 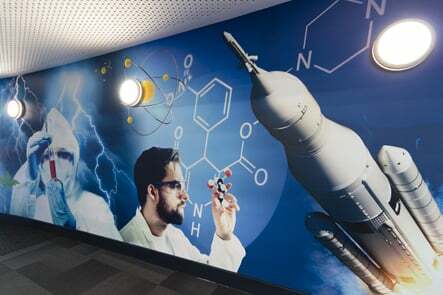 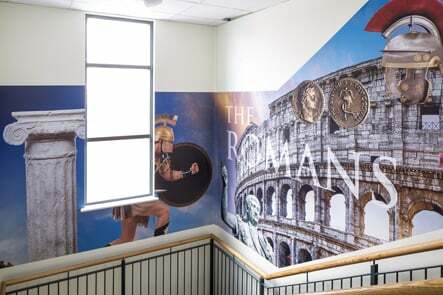 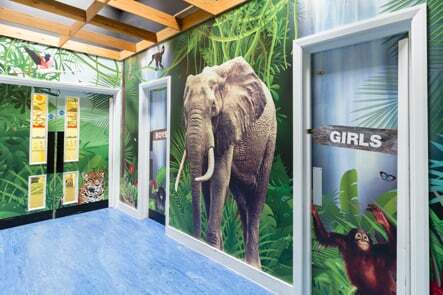 Bespoke wall art for your school can add the ‘wow factor’ that will get everyone’s attention and raise aspirations, while potentially being more cost effective than getting decorators in regularly and using staff time and resources to maintain displays. 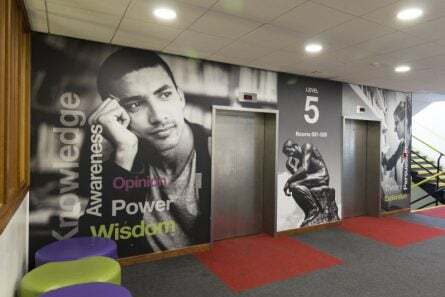 Enhance your reception area, canteen, corridors, staircases, classrooms, doors, external walls and railings with impactful wall art that will last many years. 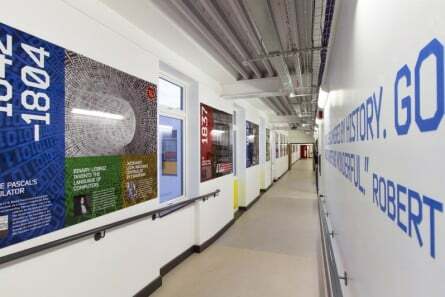 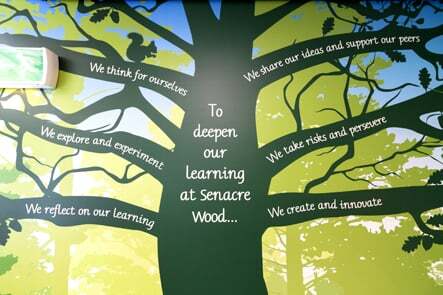 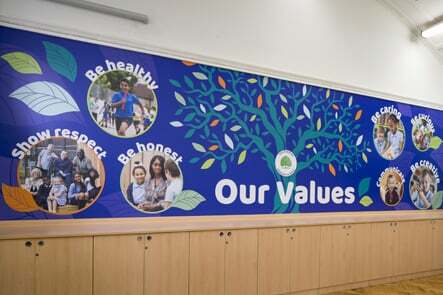 Our bespoke wall art can help you communicate everything that’s positive about your school to everyone connected to it, creating an inspiring environment in which to work and learn. 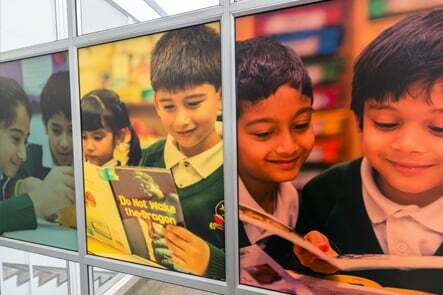 We can create areas that communicate values and visions, compliment the curriculum or simply raise a smile from everyone who sees them. 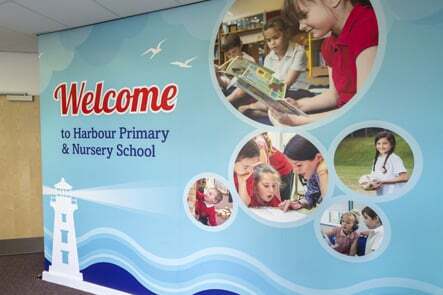  Site survey and consultation as to the most effective display solution for your school. 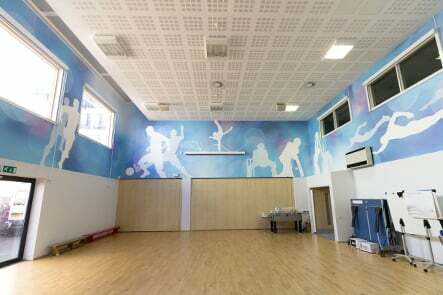    High quality production and installation ensures a durable and polished finish that will last many years.